Color Litho - F-4C Ala12, Torrejon AB, Spain 64-0878 / 1972 "121 Escuadron"
Aircraft Tail #64-0878, F-4C Torrejon AB, SpainAla12th Wing / 121 Escuadron - 1972. Replaced F-104G's. 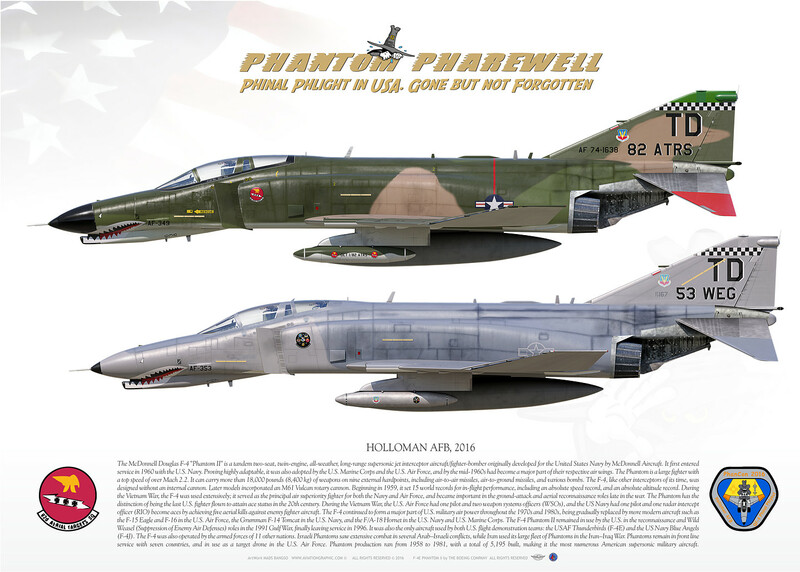 The 480th TFS / 52nd TFW began service with the F-4D Phantom II's during 1976. A few years later the Wing's "D" models were replaced with the more powerful "E" models joined by the F-4G Advanced Wild Weasels. The Wing's "Heavy Metal" supported Operations Desert Storm and Desert Shield along with F-16C and D "Fighting Falcons" during 1990. Aircraft 71-079 supported both mission Operations. During 1990, the 52nd TFW at Spangdahlem Air Base, Germany was tasked to support Operations "Desert Shield" and "Desert Storm" with 24 F-4G Phantom II Wild Weasels deployed to Bahrain and 12 deployed to Incirlik Air Base in Turkey. Flying 3,900 sorties, 142 radar sites were destroyed during 40 days of combat. Aircraft 60-0232 was credited with nine radar kills.